Rep. Noel Campbell, R-Prescott, says the tax increase is absolutely necessary. 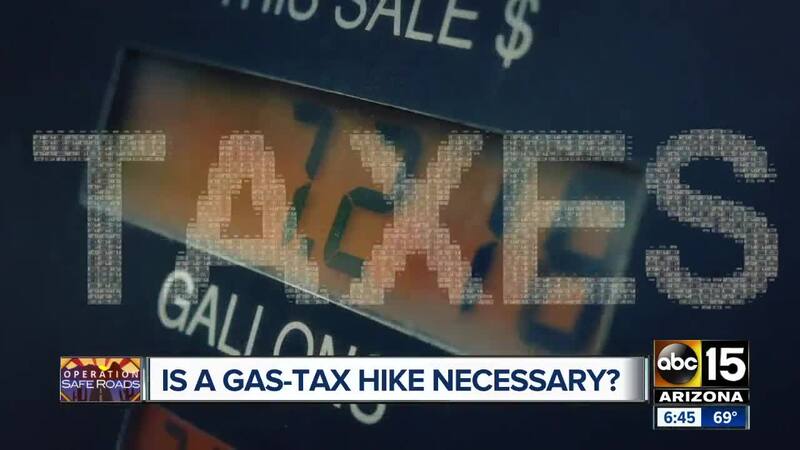 Arizona has not raised its gas tax since 1991. PHOENIX — Arizona's state gas tax has been the same since 1991. If signed into law, House Bill 2536 would be the first increase in more than 25 years. 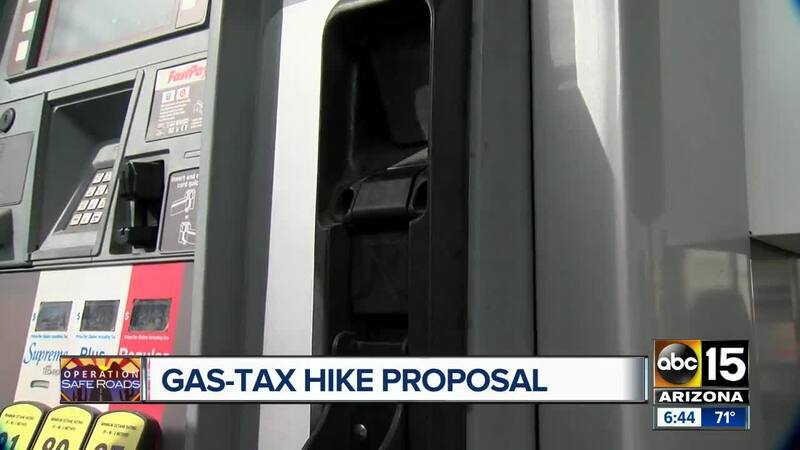 The proposed legislation would increase the gas tax by ten cents per gallon of unleaded this year, another dime in 2020 and five cents in 2021. Prescott Republican Rep. Noel Campbell thinks that's not just a good idea, it's absolutely necessary. "This isn't some little bill. This is something that will change the transportation needs for this state for the future," Campbell said. "Everybody's ducking and running for cover down here. And we need leadership on this. If I'm the out front guy and I get bashed about it, that's fine." There's been a lot of bashing, too. Every time the "T" word comes up, hundreds of ABC15 viewers say 'No Thanks.' That was the overwhelming response earlier this week when we asked you to weigh in. You're worried about government waste and excessive taxation. The greatest concern we saw has to be the lack of a guarantee that some other departments won't borrow the new funds. "It happens in the middle of the night down here in the budget process where they come in with a little budget 'burb' that says notwithstanding the law, we're going to take what we want," Campbell said. It could take legislative safeguards to make sure Arizona's constitution is upheld. Representative Campbell said time is incredibly important on this issue and would like to see some debate on the numbers over the next week or two. The full interview with him is at the bottom of this story. We got a whole lot of responses from all of you, our viewers. Here are some of the responses that caught our attention. Rhoda says: "What is the new $32 per year fee ... why are we possibly getting hit with a double whammy?" Deborah says: "$32 was just added to an already extremely high registration cost. No more taxes or fees until our state elected officials clean up their spending." Then Michael says: "It will eliminate the need for the added registration tax ADOT imposed ... an additional $32 a year." Apparently, that was the idea. ADOT said at the end of last year that "The new $32 Public Safety Fee will allow gas tax money to support roadway maintenance and construction while providing a different source of that funding." That means that new $32 you are paying this year to register your car goes to fund DPS and public safety, not roads projects. That money is supposed to free up the already existing state tax money to go towards road maintenance instead of being used to subsidize DPS. You had a lot of questions about state funding versus federal funding. Also, how do we know that the extra tax money would go specifically to making the roads and freeways better? We're going to get to the bottom of these questions but make sure you let us know what you want us to look into. We'll address any issue on the roads. Submit your questions by sending an email to Roads@ABC15.com.